In what has to be one of the most startling introductions ever put to film, Village of the Damned begins with a series of shots in which it appears all the adults in Midwich have collapsed. There are groceries scattered throughout the streets. Common items discarded and adults laying every which way in the street, the alleys, the sidewalks, and on the lawns. Something pretty awful has happened. And what it produces is a fear of the future that cannot be contained. "a movie so expertly crafted – even if it is a bit stiff – that it remains a haunting experience"
It is, in fact, the worst fear of all: the fear of the unknown. That’s what marks Village of the Damned and its spectacular legacy in the horror genre. With Psycho as its main competitor, the year 1960 was damn revolutionary for horror and its ability to sell movie tickets. We had a shower scene and Norman Bates in one film and, in another, we had alien children possessing the minds of all the adults around them, forcing them to do things against their will. Fear does fantastically creative things to people. 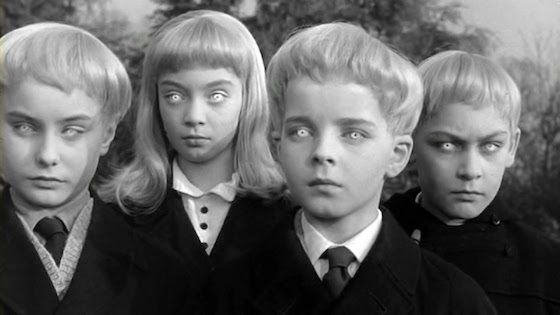 In the fantastically executed Village of the Damned, all our worst fears about children are confirmed. They truly are vicious little bastards. Led by child actor Martin Stephens, this gang of silver-haired freaks are all sorts of unsettling and their dominance over the village is quickly felt. There is no escaping children. Parents understand this. You will to when you watch this masterpiece. Directed by Wolf Rilla, this is a chilling movie that remains as solid in its rollout (and its gut punch finale) as ever; it is as if no time at all has passed since its original release date. Sure, there are some stilted performances but, thanks to lead character actor George Sanders as Gordon Zellaby and some pretty spooky kids, all is easily forgiven. This is model moviemaking right here and, with the Warner Archive Collection releasing this classic on blu-ray, audiences now get to see the film in all its sparkling glory. After the incident which knocked out the adults in the town, a month passes and the women involved in the strange accident are discovered to be pregnant. Every last one of them. If that wasn’t enough, the babies born by these women all mature rapidly. And they are blonde. And they look like china doll kids. And, when really pissed, their eyes glow and they have the power of hypnotism. Oh boy. Things aren’t ever going to be the same. Especially when Gordon, a professor in the small town, begins to suspect that his child isn’t really his. Are any of these kids of human lineage? Thanks to the open-endedness of the narrative, faithfully adapted by Stirling Silliphant, Wolf Rilla, and Ronald Kinnoch from John Wyndham’s novel, we never get the answer but we are still satisfied. Explosive and shocking, this is a film that never settles; it constantly pushes our expectations as these doe-eyed children take command of the town. Sometimes a classic film is exactly that: a classic. 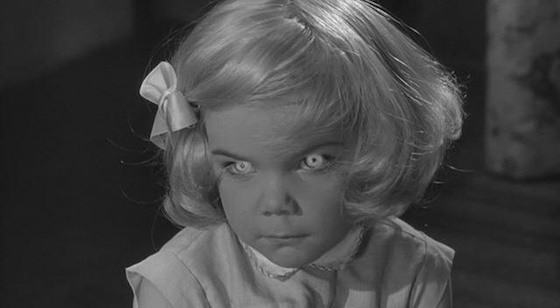 In the case of Village of the Damned, though, we have a movie so expertly crafted – even if it is a bit stiff – that it remains a haunting experience, definitely not needing the remake that John Carpenter did. This film, in glorious black and white, is all we really need. Tagline: Tody this village...tomorrow the world...what is the fate of the human race!. Memorable Movie Quote: "They have the look of man... but not the nature of mankind." Synopsis: In the English village of Midwich, the blonde-haired, glowing-eyed children of uncertain paternity prove to have frightening powers. Warner Bros’ Archive Collection continues to roll out some hard to find titles on 1080p with the release of Village of the Damned. The newly minted MPEG-4 AVC transfer – framed in 1.78:1 with 2K scanning by Warner's Motion Picture Imaging facility – also sports a solid sounding lossless DTS-HD Master Audio 2.0 soundtrack and a crisp black-and-white image. The film grain is solid and there is no visible dirt during the running time. Everything is smooth sailing on this upgrade. There is an excellent commentary from Steve Haberman, author of Chronicles of Terror. 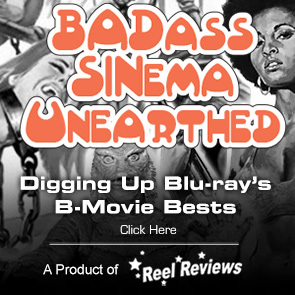 It is not to be missed as it is funny, fairly ruckus, and all sorts of B-movie fun.